You are here: Home / Ethnic Groups / The People of Sumatra / Who are the Pakpak Boang? The 18,000 Pakpak Boang live in the Singkil area of the southern part of Aceh Province in Northern Sumatra, Indonesia. The Pakpak Boang are part of the Pakpak or Dairi Batak tribe, but are often mistaken for Singkil people. Boang is comes from the Indonesian word “buang” which means to discard or throw away. They chose this name for themselves because they felt discarded by the rest of the tribe when then decided to leave Christianity to follow Islam. Most Pakpak Boang make their livelihoods as farmers and fishermen. 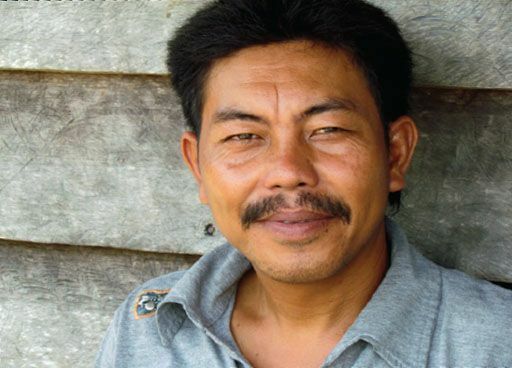 Their extended families are called marga, showing cultural connections with the Batak and Nias people groups. They hold many different ceremonies, which are divided into “good works” ceremonies and “bad works” ceremonies. The good works ceremonies include weddings and rice planting ceremonies, while bad works ceremonies are things like funerals. The Pakpak Boang follow Islam mixed with animistic beliefs. They especially revere the grave of Abdul Rauf, a great religious leader from their area. Like many people groups on Sumatra, the Pakpak Boang often seek the magical power of the shaman or dukun. There are a few Pakpak Boang believers, but there is no indigenous church. Churches in the area have often been the target of community persecution. There is currently no consistent witness focused on this people group. Their area has been torn apart by persecution, so they need peacemakers to come in and restore the communities.